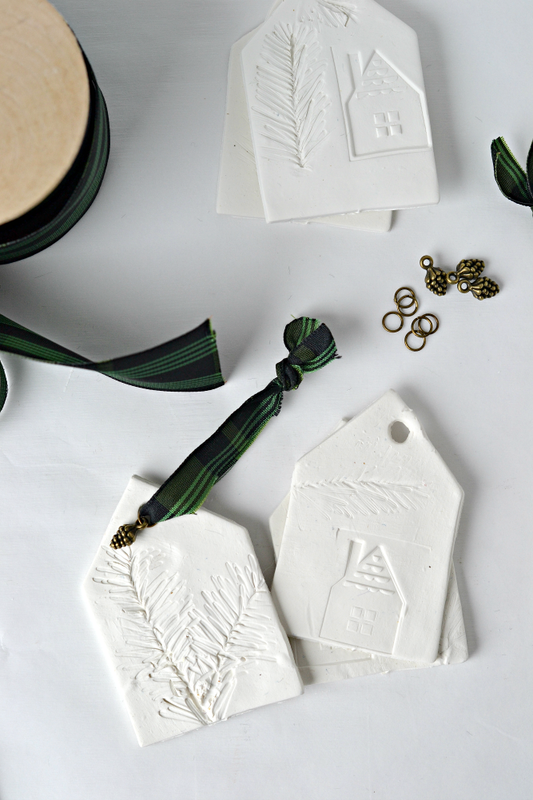 Disclaimer: Affiliate links have been included to help guide you to the perfect products for making these stamped clay Christmas ornaments. 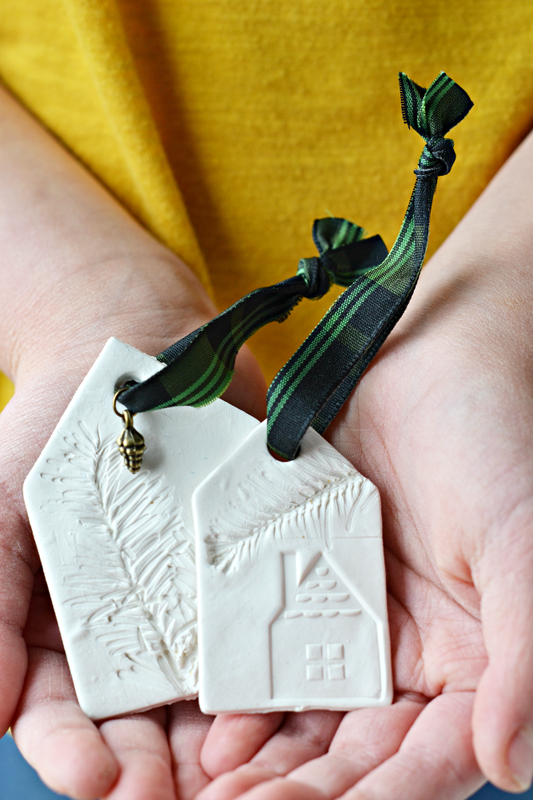 These stamped clay ornaments inspired by the book Winter Days in the Big Woods are a fun and unique handmade craft to make with the kids this holiday season. 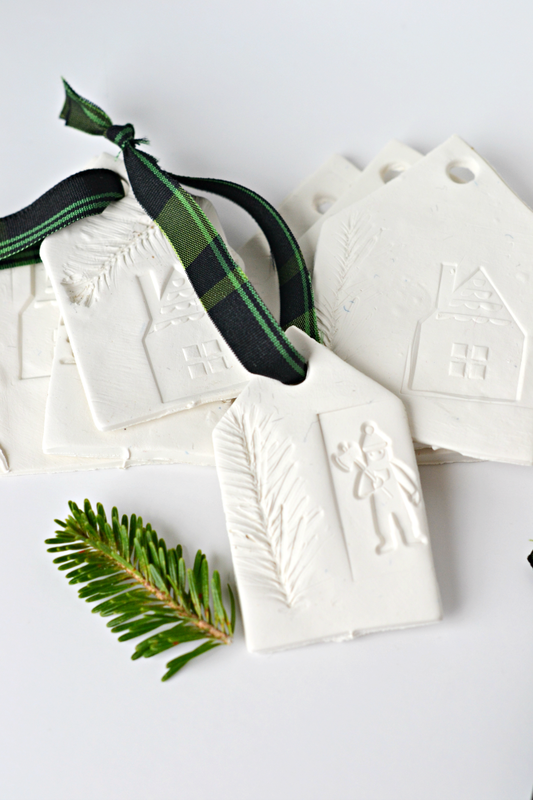 Each one features a snowy scene that you and your child can stamp and design. 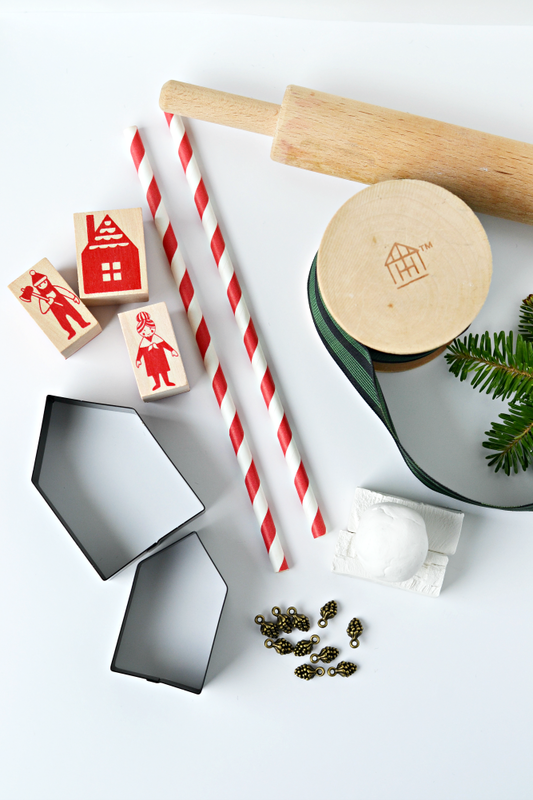 Gather the kids for a crafting session because this is a Christmas ornament craft you aren't going to want to pass by! Each year the kids and I have a BIG crafting session where we make a new handmade ornament inspired by a children's book. It's become a tradition I look forward to year after year. Of course, we make other crafts and ornaments throughout the holiday season, but there is always one that's dubbed the special ornament of the year. I must be in a mood for all things woodsy and rustic because not only did I decorate our Christmas tree in a rustic farmhouse theme, but it also seems to be the direction our handmade ornaments took this year. 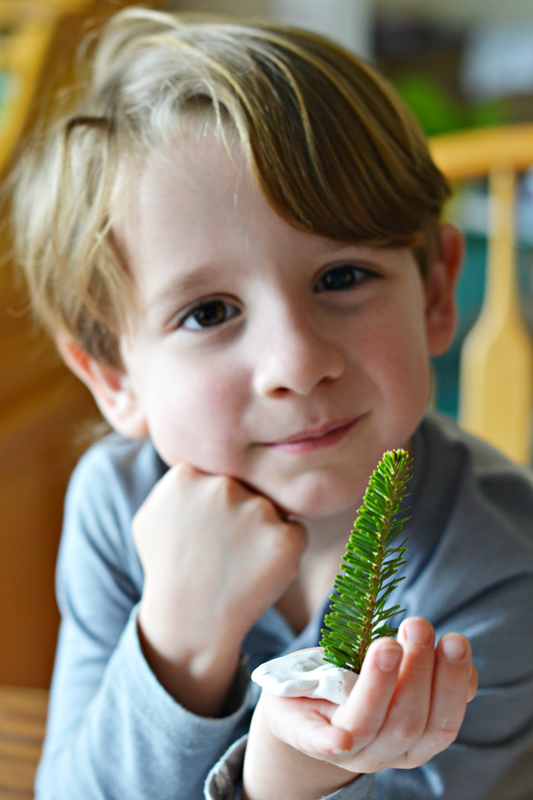 I love these little ornaments so much that I dove right in with the kids and made a few for myself. You won't be able to resist making some too--right along with your sweet kiddos! Have you seen the My First Little House Books? 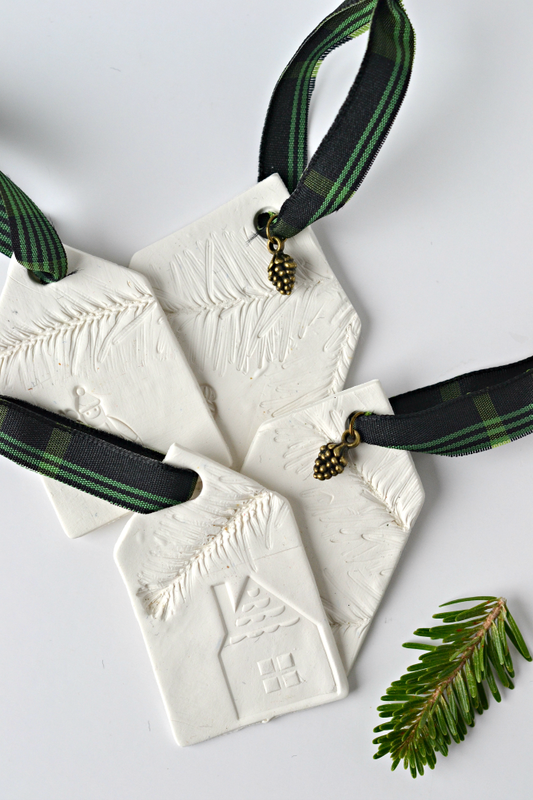 There are several in the series including A Little Prairie House, Christmas in the Big Woods, Going to Town, and Winter in the Big Woods which inspired these clay stamped ornaments. 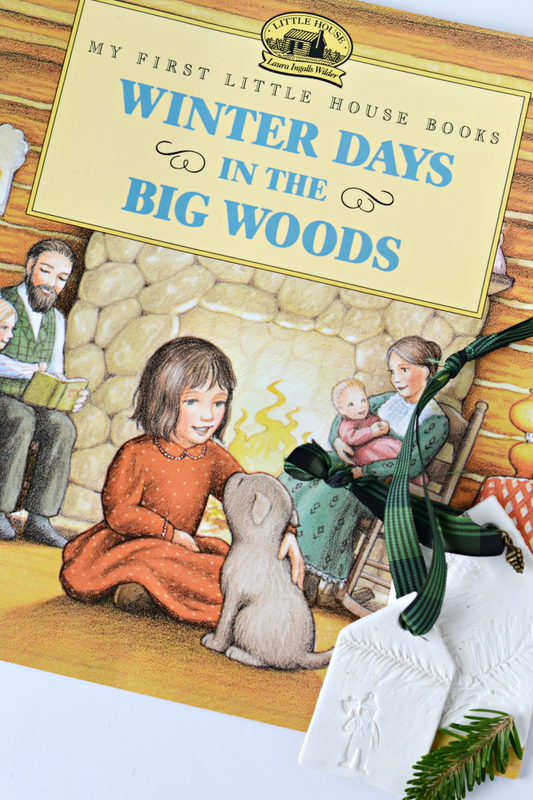 Laura Ingalls Wilder's classic books are able to be enjoyed by a younger audience with these beautifully illustrated storybooks. They collectively tell the story of a little pioneer girl whose family traveled across the Midwest. 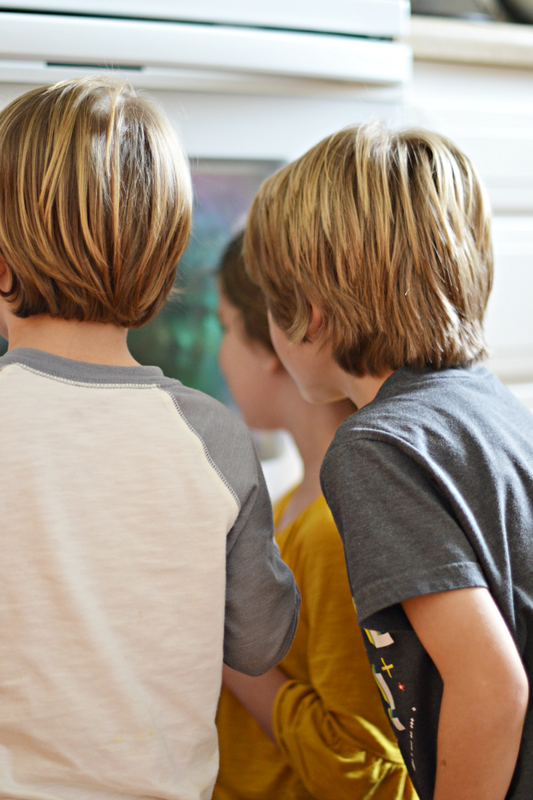 Each one also shares stories of friendship, family, and love. They're sweet tales to cuddle up with and read to the kids during the cold months of winter..or anytime! "Outside it was cold and snowy, but the little log cabin was snug and cozy. Pa, Ma, Laura, Mary, and Baby Carrie were comfortable and happy in their little house in the Big Woods." Can't you just see it?! That cozy house sitting among the tall trees and drifts of snow! That's exactly the image that plays out on these sweet clay ornaments. 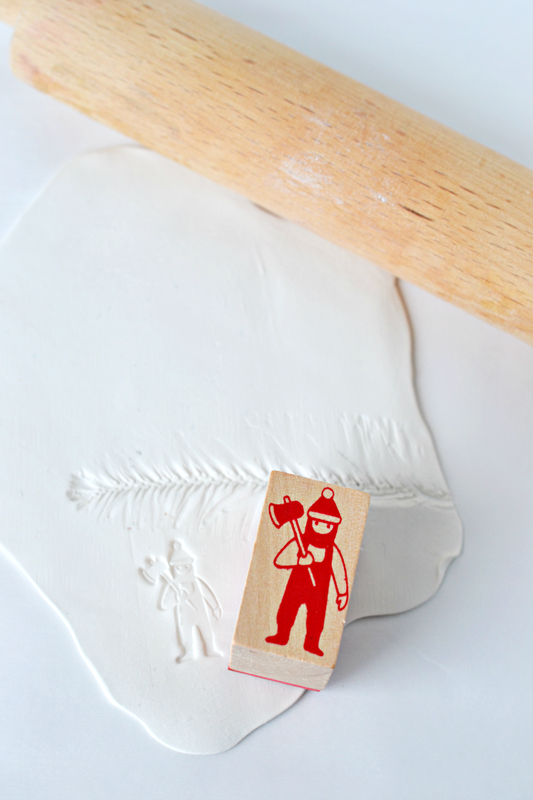 Twigs and stamps create the scenes on an oven-bake white clay. 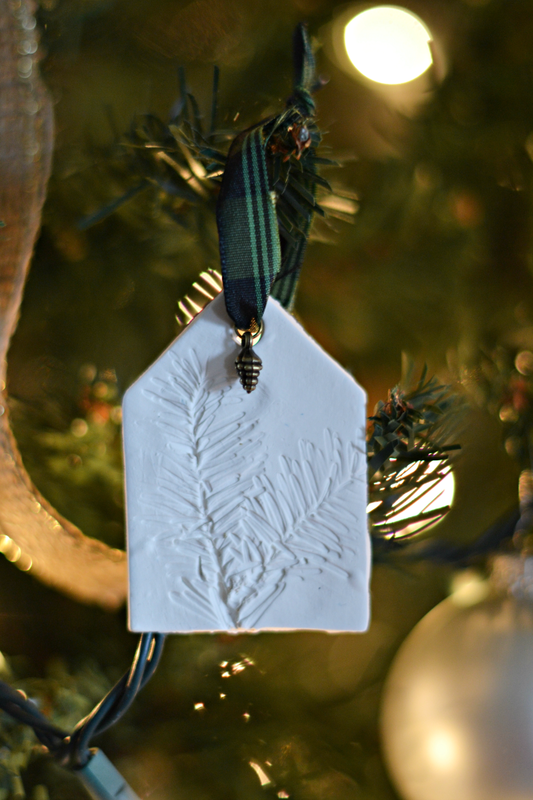 You and your kids create the memories as you mold, stamp, cut, and bake snowy white clay into beautiful ornaments that you'll cherish for years. 1. Work the clay in your hands for a few minutes to soften it. Press it into a flat disc and place it on parchment paper. Roll the clay out to a 1/4 inch thickness. 2. Firmly press evergreen twigs into the clay. 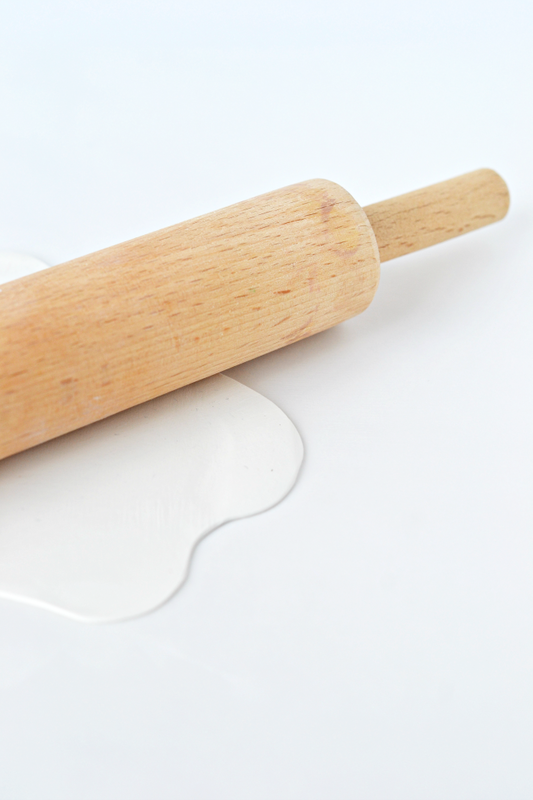 You can use a rolling pin to help leave an impression. Slowly pull the twigs off. If any pieces from the twigs get stuck, gently pull them out. 3. You can also use stamps to make designs. Firmly press a stamp into the clay and lift it off. 4. 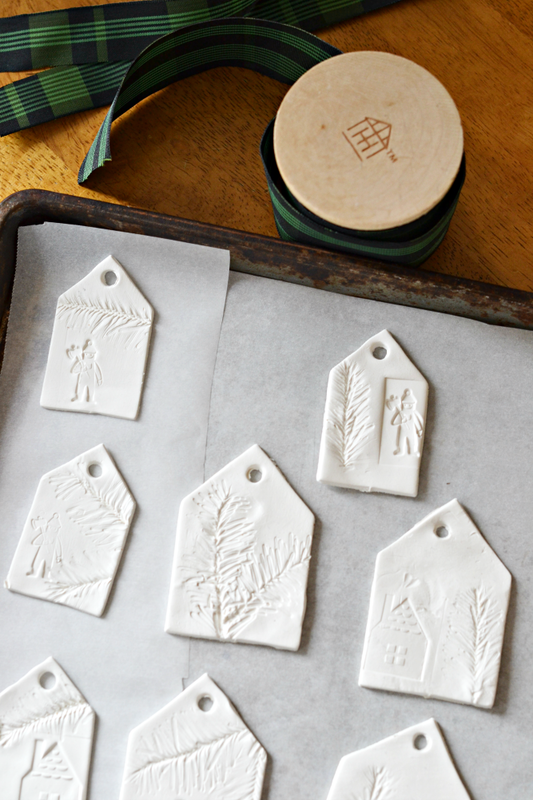 Use cookie cutters to cut out the desired portion of the stamped clay. 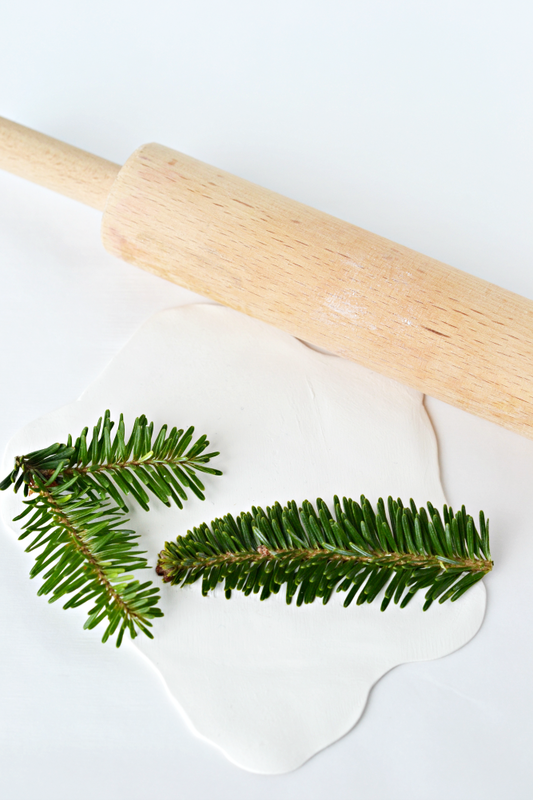 Roll the dough up and begin the process again to make even more ornaments. 5. 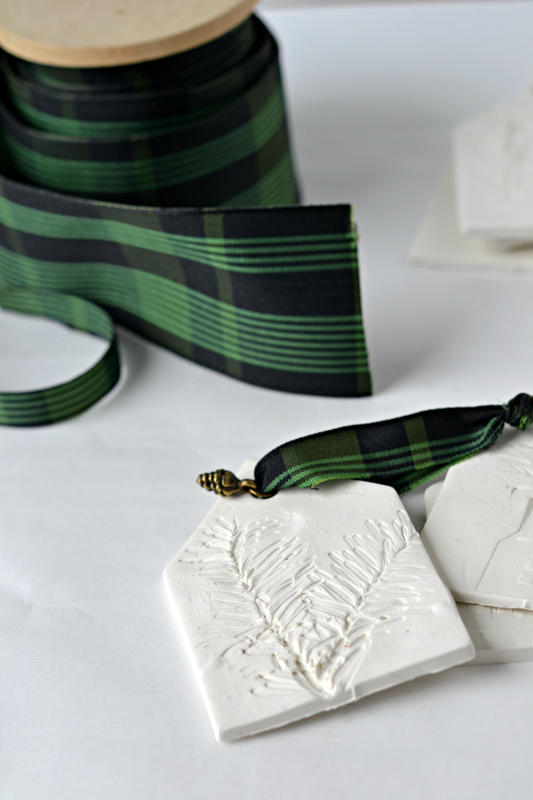 Press a straw into the top of each clay cutout to make a hole for the ribbon. 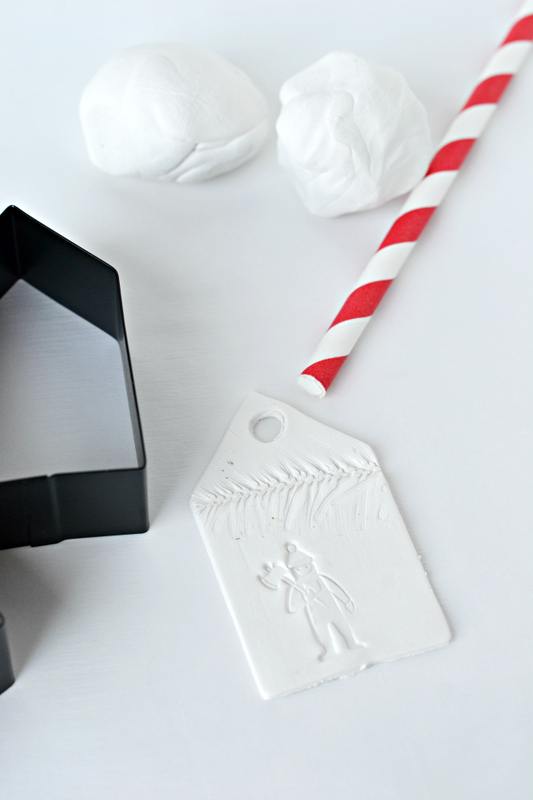 Use the tip of a pen or pencil to carefully etch initials and dates into the back of the clay ornaments. 6. 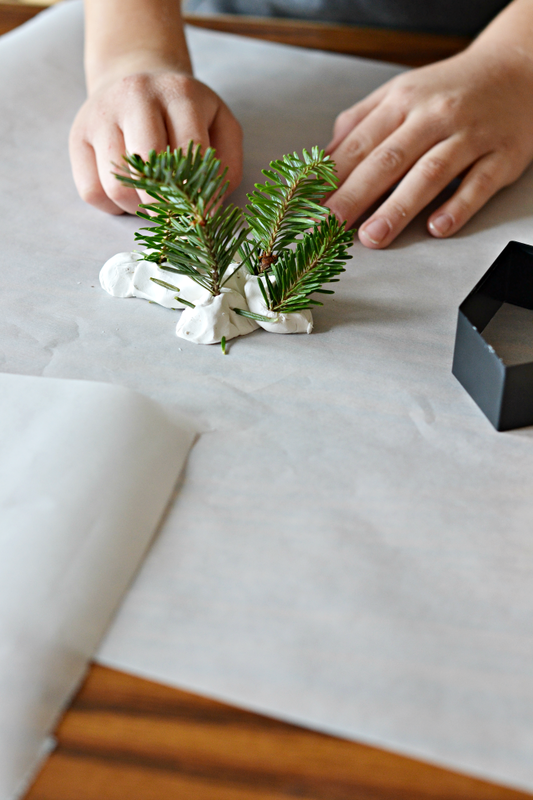 Place the clay pieces onto a baking sheet lined with parchment paper. Bake them at 275 degrees for 15 minutes. Be careful not to overbake. Allow them to cool completely. The clay will harden more as it cools. I used an old baking sheet reserved only for crafting. 7. Once the clay pieces are cool, thread a ribbon through the hole of each one. You can also use jump rings to attach small charms to the ribbon. This is completely optional but it is a fun addition. Hang your ornaments on your tree and enjoy! You can even tuck a few into a gift box to give as a thoughtful present to a family member or friend. Most of all...have FUN! My kids had an absolute blast with this craft. I worried that my handmade ornament idea for this year was a tab bit ambitious for a 4, 6, and 8-year-old. Even my youngest did an amazing job, though! We haven't done as much crafting lately as usual, but this reminded me how much I enjoy getting creative with the kids. And, boy, did they get creative! They started using the leftover clay to make little snow mounds for the twigs--turning them into trees surrounded by snow drifts. That is when they weren't busy watching the oven for their ornaments to finish baking. 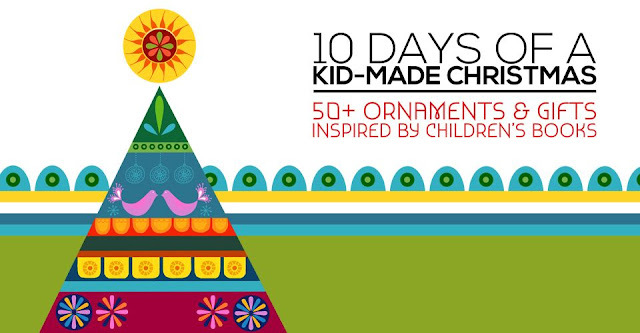 Do you make handmade ornaments with your kids? What traditions do you cherish most each year. I'd love to hear all about it in the comment section below. 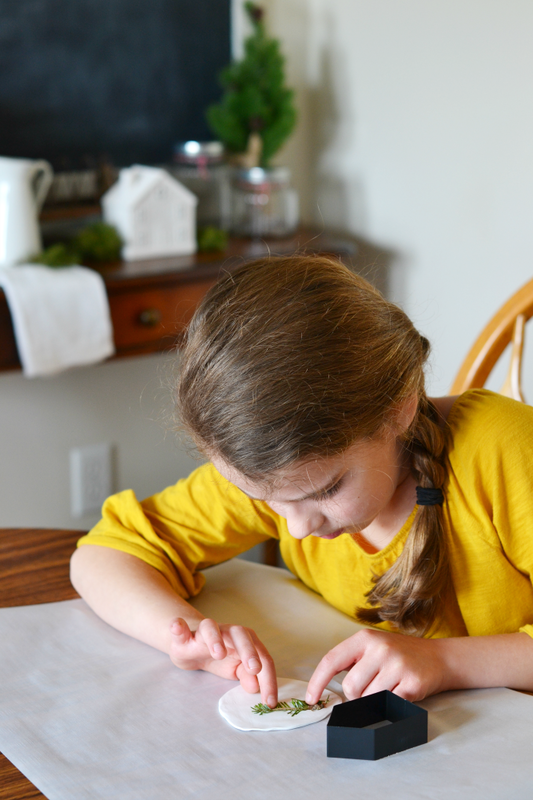 I'd also love for you to take a peek at the rest of this wonderful blog series! This ornament post is part of the 10 Days of a Kid-Made Christmas Ornaments and Gifts series where you'll find 50+ ornament and gift ideas all inspired by children's books. 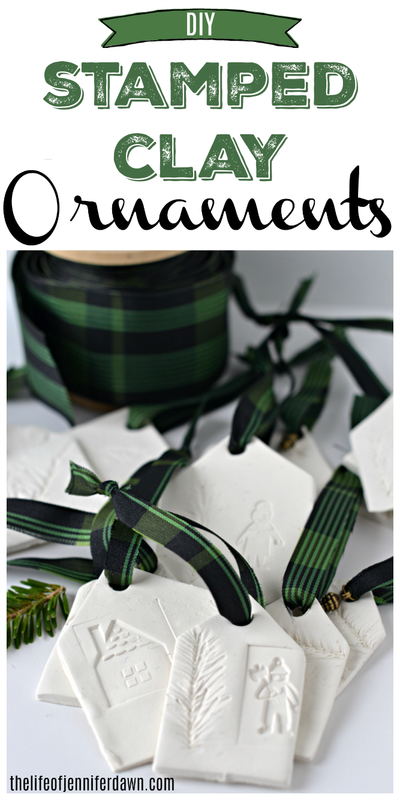 For more craft inspiration, be sure to visit here or check out these fun ornaments! I love the little house books, thank you for reminding me of all the fun I had reading these books with my kids. I love the craft so pretty and easy for little ones to make.